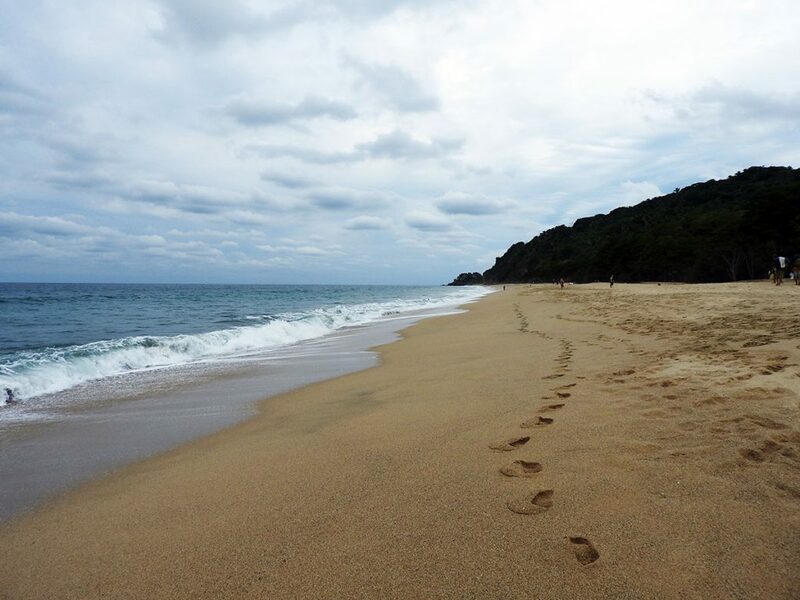 For the ten days I spent in Sayulita, Mexico, that was the path from my vacation rental to the beach. 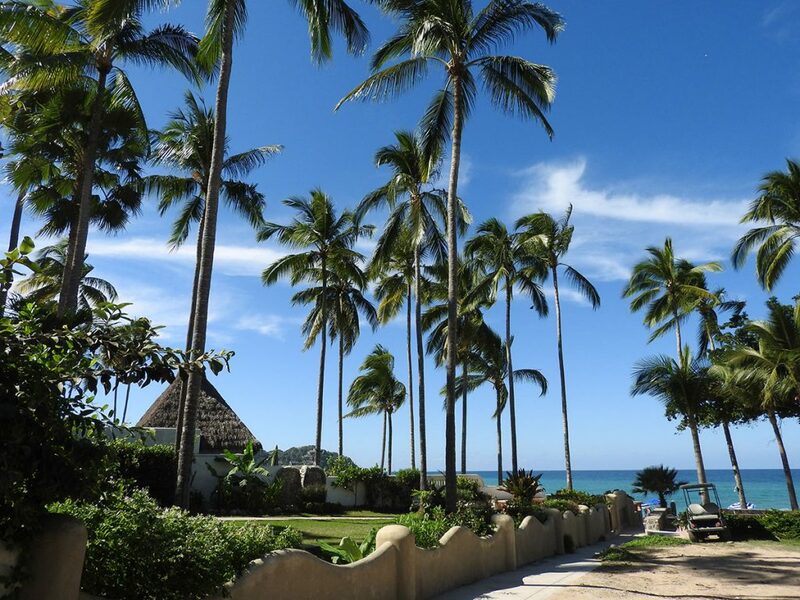 Towering palm trees, green grass, blue skies, turquoise waters. I had previously visited Sayulita several times, but hadn’t been back in more than five years. 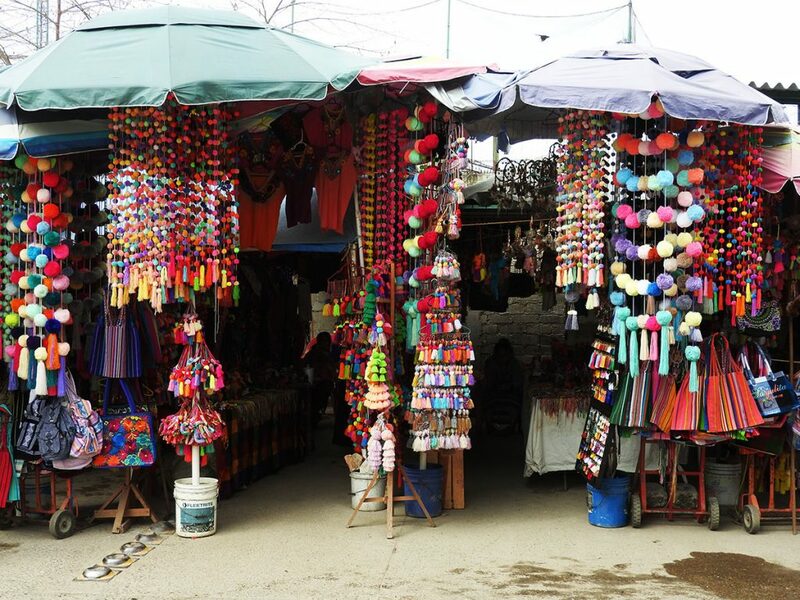 Since then, the town had received the Mexican Secretariat of Tourism’s “Pueblo Magico” designation, an award given to small towns across the country that maintain a special kind of “Mexican Magic”. I was very curious to see how this designation, and five years’ time, could have changed the sleepy little beach town I’d once known so well. I quickly learned that Sayulita had not only grown in size, but also in diversity of services, tourist infrastructure and sheer visitor numbers. Over the ten days that I recently spent in Sayulita, I came to appreciate the changes that came with the Pueblo Magico title. The local government was much better equipped to manage tourist crowds, with regular police presence on the roads and in the streets, with increasingly clean water along the beach and with improvements to the local transportation network. Increased tourist numbers meant that many new shops, restaurants and attractions had opened (I mean, even after ten days I hadn’t eaten all the delicious Mexican food that I’d wanted to try! ), and these businesses operated in a more organized and efficient way than what I’d seen before. Oh, and the town had hung pretty flags everywhere! So yes, Sayulita has grown to the point where you might need a golf cart to get around (though definitely not from any of the accommodation I’ve recommended below!) and you might have to queue ten minutes for a table in one of the town’s most popular restaurants, but I promise… it will be worth it! Having been to Sayulita four times, I have stayed in a few different hotels and looked inside quite a few more. When you’re searching for hotels in Sayulita, it’s important that you identify what is most important to you: location, amenities or a quiet environment, because it’s virtually impossible to find a hotel in Sayulita that delivers in all three of those areas. If you’re planning to visit Sayulita during the busy vacation periods (the weeks around Christmas and New Year’s Eve, and Semana Santa, or the week before Easter), it is essential that you make your Sayulita hotel reservation as far in advance as possible. I’m talking several months in advance, not just several weeks. So, as soon as you make plans to come visit Sayulita, hop on Booking.com and reserve one of my recommended Sayulita hotels. Please don’t leave it to the last minute – you might end up sleeping in a tent on the beach! I’m kicking myself for not making my Sayulita hotel reservation in time to stay at Hotelito Los Suenos. I believe this hotel (whose name translates to “Little Hotel of Dreams”!) offers the best combination of location, amenities, quiet atmosphere and comfortable surroundings in town. 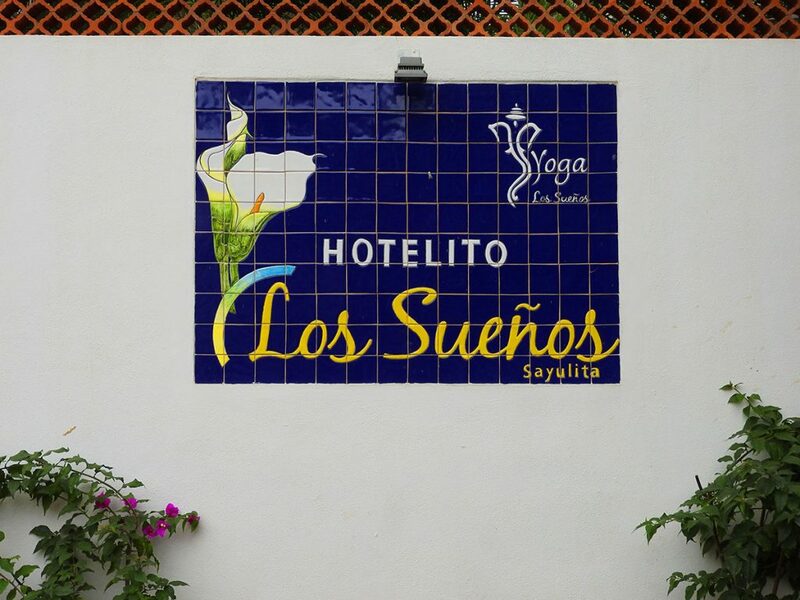 Home to one of Sayulita’s original yoga studios, Hotelito Los Suenos is just a few blocks north of the river on a quiet, well-lit street. With two swimming pools, sun loungers, free boogie board rentals, air conditioning and reliable WiFi, this hotel goes above and beyond to make guests comfortable. From here, it’s only a five-minute walk to the beach or the city center, and there are several popular restaurants about two blocks away. Do you remember the days before Instagram? When you could only see tanned hipsters with sun-bleached, wavy hair making their own jewelry under a palapa on the beach in the travel section of Vogue? Well, a stay at Petit Hotel Hafa will whisk you back in time to those days – say, the early 2000s, – when you could take a photo standing in front of an angel wing mural just for the sheer joy of it, and not feel like you had to share it with your subscribers at the exact optimal time for engagement. 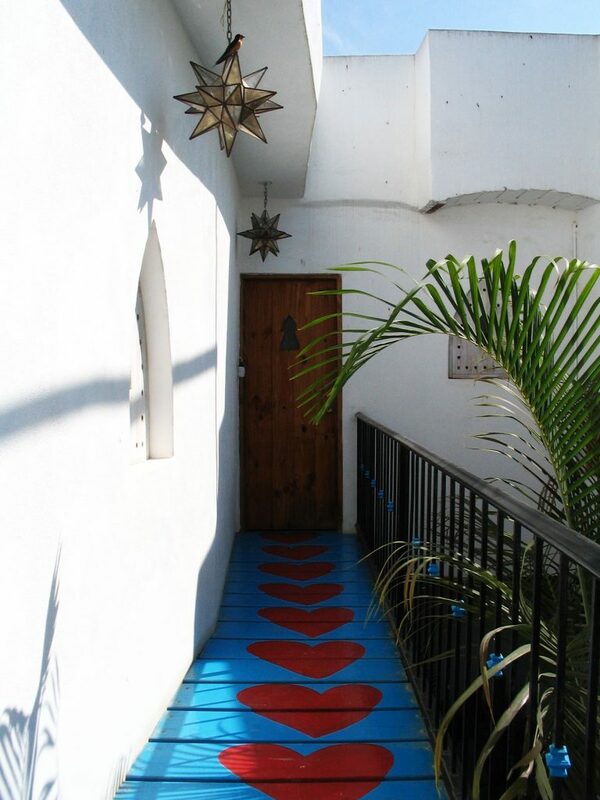 Petit Hotel Hafa is a tiny boutique hotel right in the center of Sayulita, just one block from the main plaza. Full of Moroccan-inspired decor, and with a rooftop terrace offering sunset views over the town, this is the best location for design-oriented travelers. The downside, though, is that its central location can be quite noisy at night, so it’s not recommended for light sleepers. Also on the north side of town, and up a fairly sizeable hill, Villa Los Corales is a family-run condominium building with apartment and studio suites for rent. Accommodating single travelers up to groups of six, this is a great choice if you’re traveling to Sayulita with a family or as a group of friends. Villa Los Corales has a rooftop terrace with an infinity pool, sun loungers and even a fridge to keep your roof beers cold! There are some chickens in the neighborhood, so you may get an early morning wake-up call here. My first visit to Sayulita was shortly after the construction of Villa Amor, the town’s first large waterfront condo development. Back then, Villa Amor was so controversial that someone even wrote a trashy mystery-romance novel set in the town, with the drama taking place against the lurking, multi-story, thinly-veiled backdrop of “Villa Roma”. Yeah, read that backwards. Regardless, Villa Roma has stood the test of time, and countless other similar developments have popped up in town, making its presence significantly less significant. Villa Amor is built into the hills along the water on the south side of the city center. Featuring several different types of villas, ranging from studios to three-bedroom units, prices here are a little bit high but you won’t be disappointed by the beachfront location or the amenities, like daily yoga classes and swimming pools spread across two levels. Highly recommended for couples and families, but the high number of stairs mean that it’s not ideal for travelers with mobility impairments. 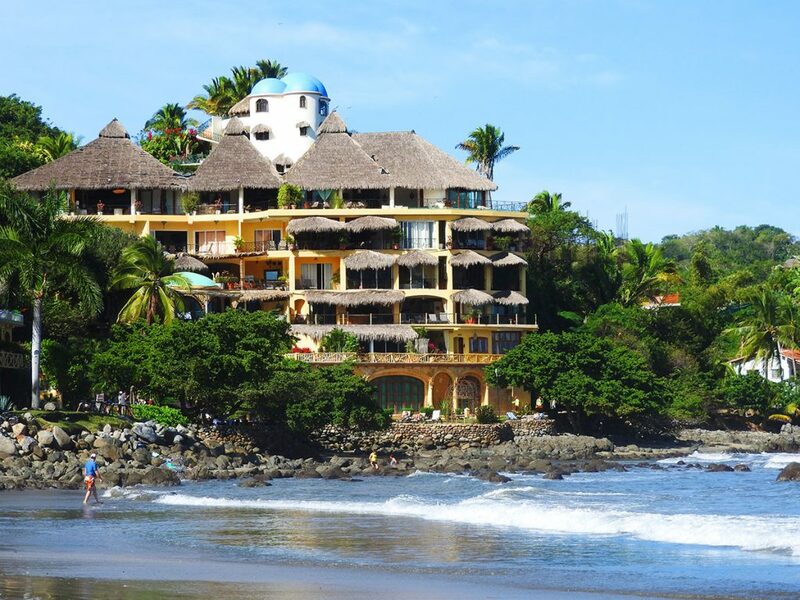 I stayed at Hotel Diamante on a previous visit to Sayulita, and can recommend it as a solid, good value option. 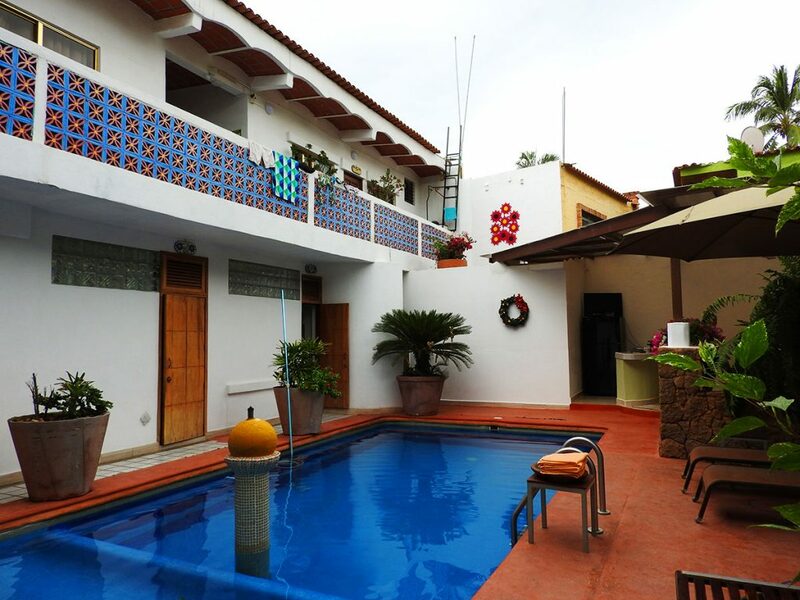 Also located on the north side, but a short, five-minute walk into the center, Hotel Diamante mostly caters to local Mexican travelers who appreciate having access to a communal kitchen, swimming pool and sun terrace, along with the daily maid service that wouldn’t be available in a typical vacation rental. The owners can provide beach towels and even sun umbrellas for use while you’re at the nearby beach (just one block away!). Rooms have been upgraded since my visit, and while they are simple, they are clean, bright and comfortable. I didn’t actually stay at Mar y Suenos Sayulita, but I am including it because it was beside the Airbnb I stayed at on my most recent visit, and while I wasn’t happy with my Airbnb, I really liked its location. Mar y Suenos is an apartment hotel with standard suites, studios and even a fully-detached house for rent. There is a rooftop garden terrace, a swimming pool and even a Jacuzzi. Although the units are self-contained vacation rentals, there is an on-site caretaker who can help you with anything (as opposed to say, an absentee Airbnb host…). Hotel Mar y Suenos is a five minute walk to the beach and a ten minute walk to the center (including a short hill). 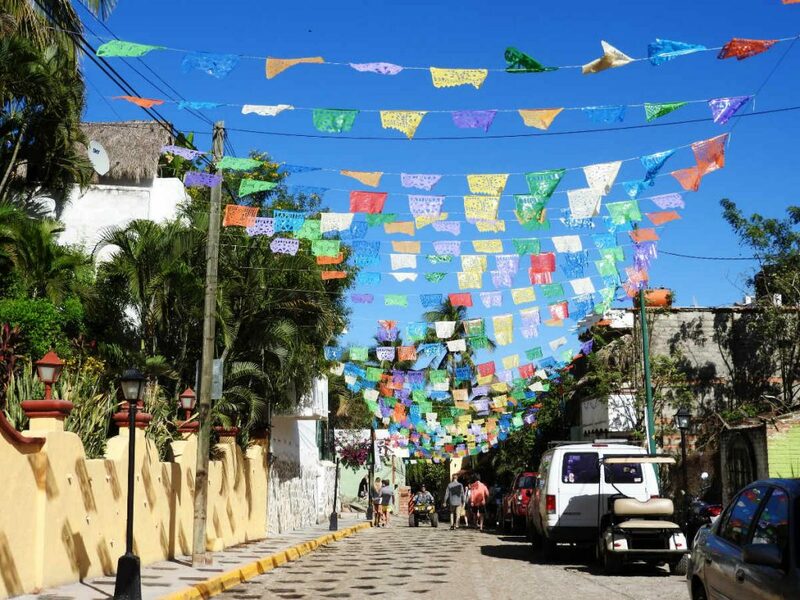 Although Sayulita is a small town, you’ll never run out of things to do during your stay. On my most recent visit to Sayulita I stayed in town for ten days and still wasn’t ready to leave (for nearby San Pancho) by the end. Whether you prefer to participate in high-energy water sports or relax like a boho beach babe, Sayulita will have exactly what you’re looking for. Sayulita’s most famous landmark is its main beach (playa principal), a two-kilometer stretch of golden sand that is heaven for sunbathers, surfers and anyone wanting to dip their toes in the fresh Pacific waters. 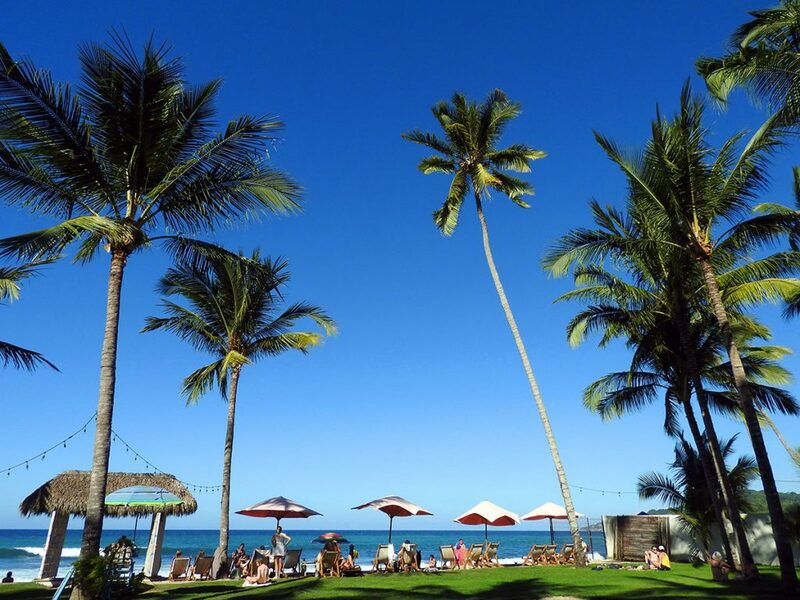 The crowds tend to gather at the south end of the beach, close to town, where there are lots of surf shops, beach bars and lounge chair rentals. Further north, the crowds disperse and it’s a bit calmer, with local residents setting up their own beach towels in the sand and playing an occasional game of volleyball. 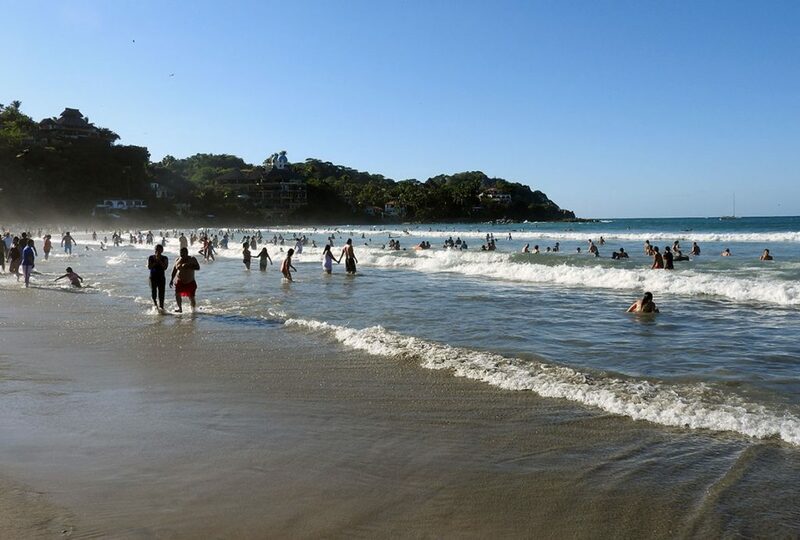 Sayulita’s beach is great for surfing and wading, but the undertow means that swimming is rarely recommended. Keep an eye on the flags (red means “do not swim!”) and head to Playa de los Muertos (below) if you’re looking to go swimming. 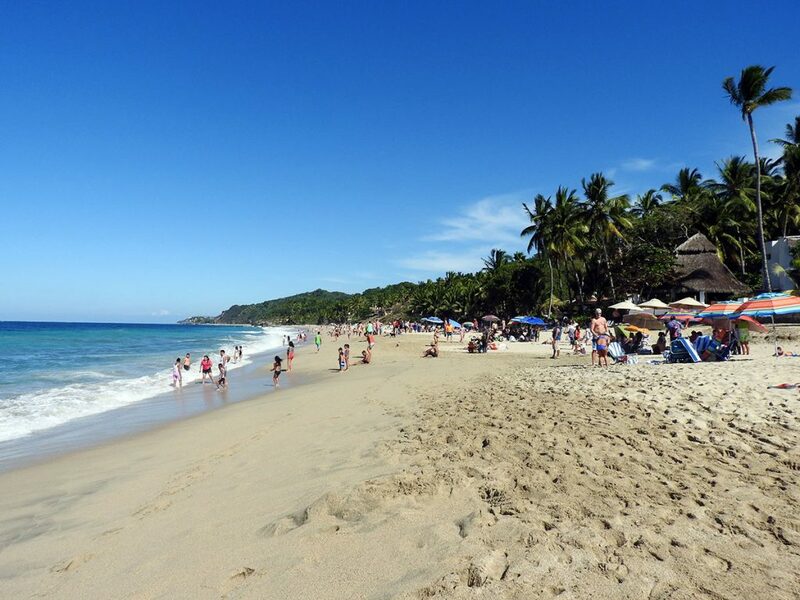 Once a secret spot that only locals knew about, Sayulita’s Playa de los Muertos (Beach of the Dead) is now a popular alternative to the town’s main beach. In this protected little cove the water is calm and swimming is easy. It’s also much more quiet than the main beach, with no lounge chair rentals (bring your own towel!) and only one or two bars serving drinks and snacks. To get to Playa de los Muertos, follow Calle Pescatores past Villa Amor, then follow the signs for the cemetery that lend the beach their name. Follow the dirt road through the colorful cemetery and then turn right towards the beach. 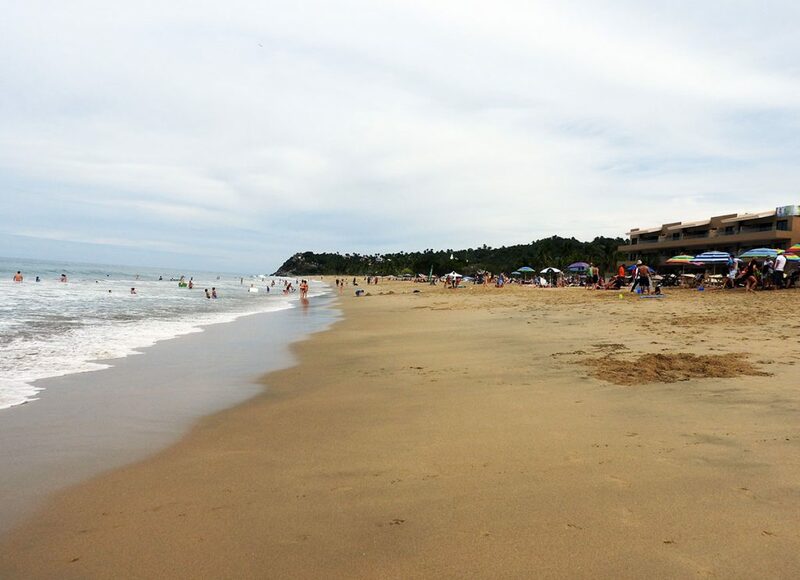 It’s an easy fifteen-minute walk from the main plaza in Sayulita. If even Playa de los Muertos is too crowded for your liking, then head north to Sayulita’s secret beach. As you can see from the photos, this one-kilometer stretch of beach is virtually empty – there were fewer than ten people there on the day I hiked through the jungle to this (mostly) uncharted paradise. 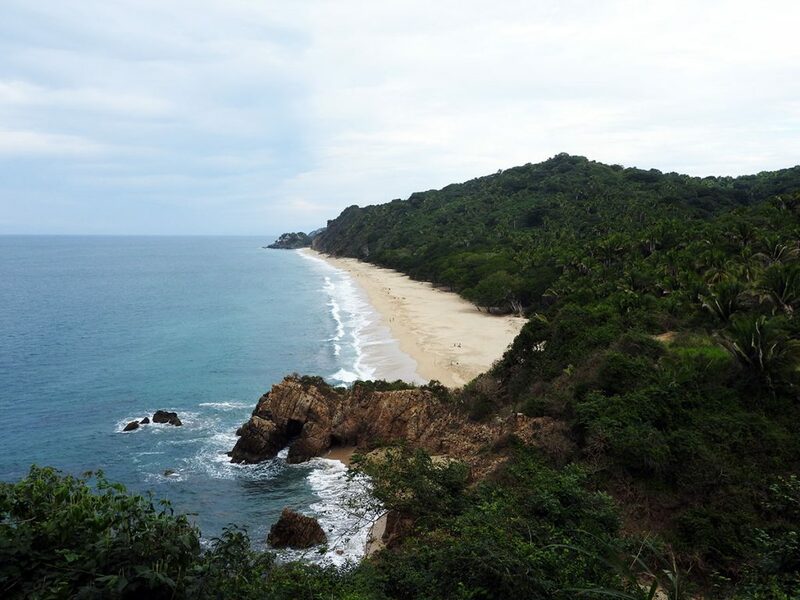 To reach Sayulita’s secret beach, follow Avenida del Palmar to its far north end. At the end of the road there is a chain separating the paved road from the dirt footpath. You have a few different options, including following the jungle path the whole way or stopping at the rocks (shown in the second photo) and, if the tide is out, ducking through the two small caves to reach the beach on the opposite side. Although one of my travel friends did the trip in flip-flops, the rest of us were glad to be wearing proper running shoes. I first learned to surf in Sayulita back in 2008, on one of my first visits to the popular surfing destination. 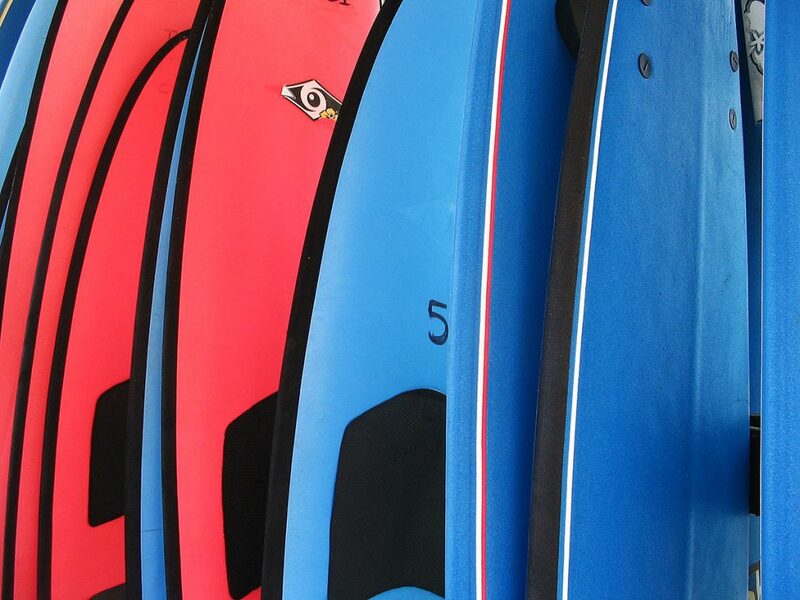 I signed up for a semi-private surf lesson with Luna Azul, one of the largest surf shops in the center of town. My instructor was really nice and was used to teaching people with zero surfing experience. After just an hour or two I was confidently riding the (small!) waves in Sayulita, and I recently gave surfing another shot in San Juan del Sur, Nicaragua. Luna Azul has lockers inside their shop, so if you’re traveling solo you can secure your belongings while you’re on the water. 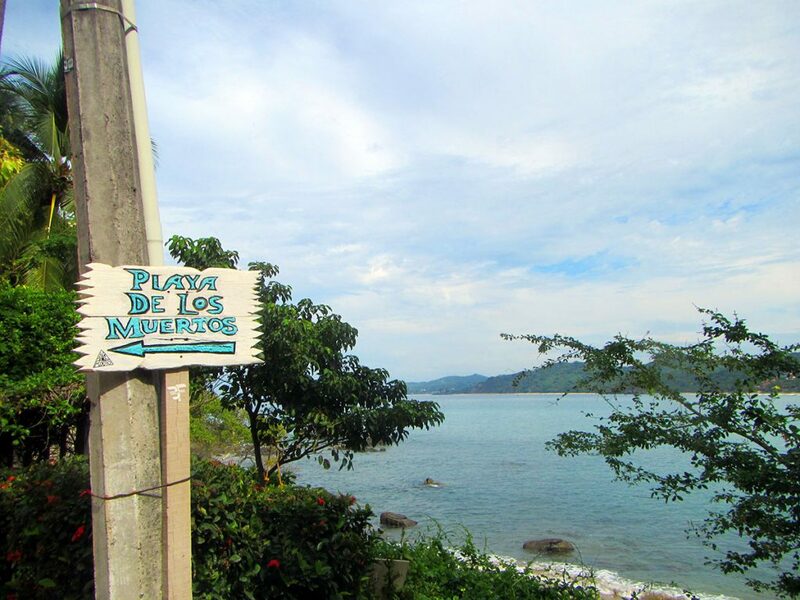 Although there is no diving right in Sayulita, the town has two PADI-certified dive shops: Sayulita Entourage and Oceano Adventures. I would never recommend Sayulita as a destination to obtain your PADI Open Water Certification (go to Roatan, Honduras instead!) but if you’re already certified, you might want to spend a day at the nearby Marietas Islands doing a two-tank dive excursion. The general process is that you depart from Sayulita by van or taxi, board a small fishing boat in Punta Mita, and then head out to one of the dive sites in the Bay of Banderas. Our boat went to the Marietas Islands, and we were close enough to the rocks to catch a glimpse of the blue-footed boobies on shore. Our two dives were pretty uneventful, but there are occasional sightings of manta rays and even humpback whales. Diving in Sayulita is quite expensive, with prices starting around $140 USD for the trip (including equipment rental). 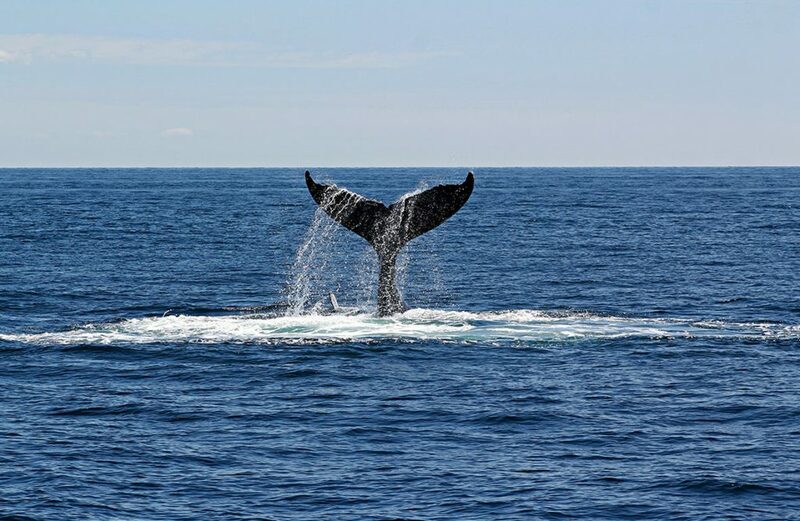 If scuba diving isn’t your thing, you can still get up close and personal with the region’s aquatic life with a whale watching trip from Punta Mita. Both of the dive shops I’ve mentioned above, and many other tour providers in Sayulita, can organize these excursions for you, but it’s also easy to just show up at the dock in Punta Mita and organize your own trip with one of the local fishermen. Peak whale watching season runs from early December to mid-March, with 90% of trips in January and February spotting the migrating humpback whales. Although I didn’t take a whale watching tour, we easily spotted humpback whales breaching (jumping out of the water) during our scuba trip. Today, San Pancho has the same vibe that Sayulita did ten years ago. Much smaller and more quiet, San Pancho attracts travelers who are interested in natural health and community-based tourism. You can walk from Sayulita to San Pancho (follow the trail to the secret beach, but keep walking for another forty-five minutes) or you can grab one of the buses that leaves every thirty minutes from Sayulita’s bus station. While you’re in town, you can try surfing (the water is a bit rougher here, so it’s recommended for intermediate to advanced surfers), take a yoga class or explore the Entreamigos (Between Friends) Community Center. 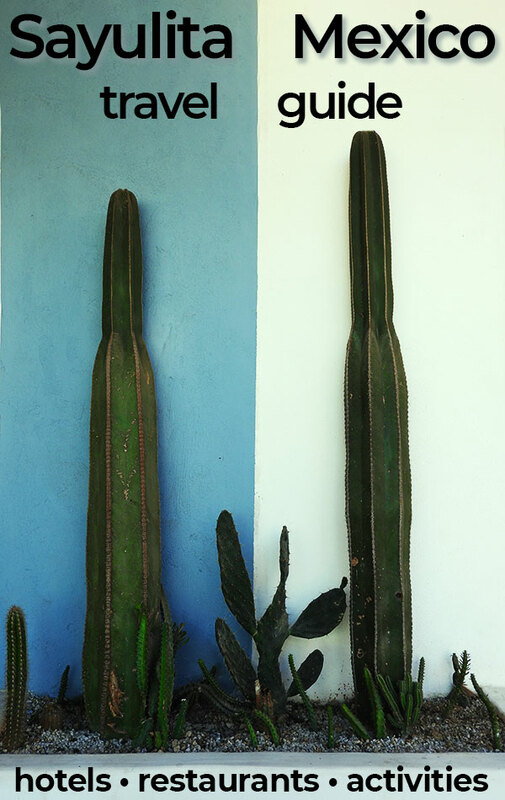 Click through to my complete San Pancho travel guide for full details… and if you fall in love with San Pancho, check out of your Sayulita hotel and check in to San Pancho’s beautiful Hotel Cielo Rojo. Feeling tense after all that relaxing on the beach and eating tacos? Me too! That’s why I booked a one-hour rooftop massage at Nirvanna Spa (yes, it has two “n”s in its name!). 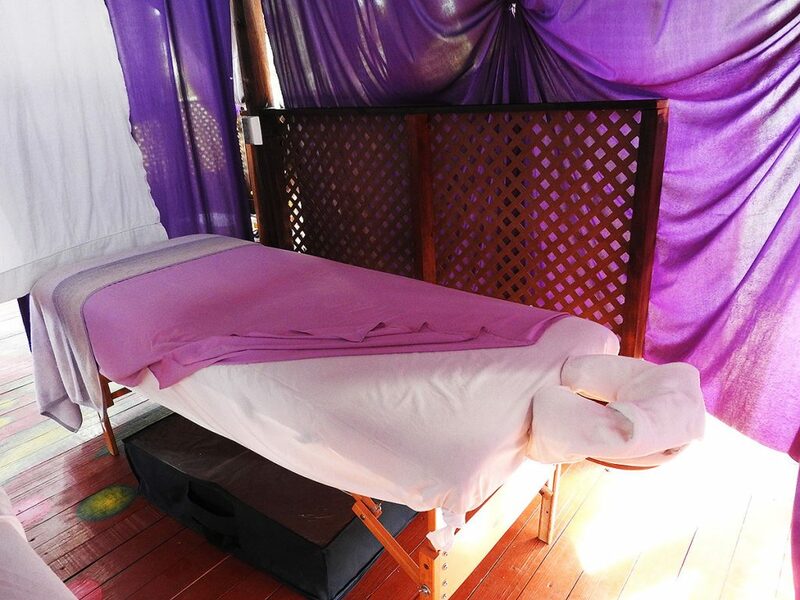 Nirvanna is one of the largest spas in town, with a central office between the main plaza and the beach, and a second tent location right on the beach. Before you begin your massage the English-speaking receptionist will ask for details about what pressure you’d like, any particularly sore spots and any areas to avoid, and then you’ll be taken to your treatment room by your massage therapist (whose English may be more limited). Massages are very affordable and the quality was on par with what you would receive in a North American spa. Start your day with a healthy smoothie or smoothie bowl at Organi-K or Matiz by Day (shown above). If you want something savory, I recommend chilaquiles verdes from La Rustica (a little pricey) or Mary’s Traditional Mexican Cuisine (inexpensive). Don’t leave Sayulita without trying an itacate from El Itacate – a burrito that is wrapped in a layer of crispy fried cheese instead of a typical flour tortilla. If it’s early in the evening, head to Pizza Venezia right when they open to snag a coveted table and an 89-peso pizza with unlimited toppings. If you’d rather have Mexican food, try a chile relleno at Sayulita Cafe. 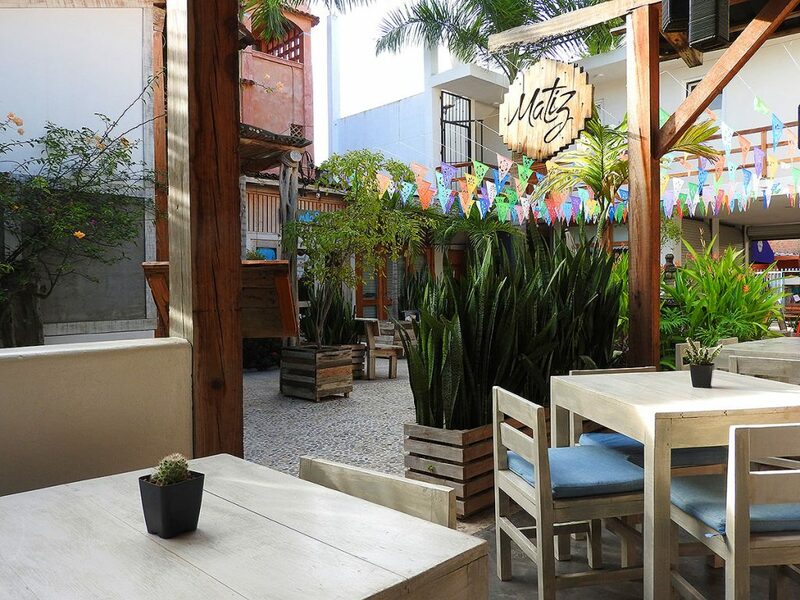 Palmar Trapiche is a restaurant and craft beer bar in a lush garden atmosphere. Grab one of their tropical IPAs and relax in a hammock or at a picnic table. 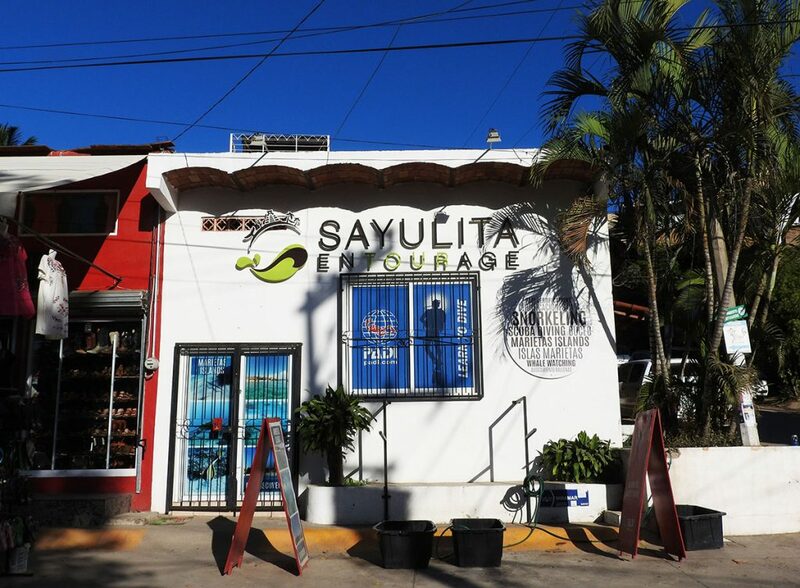 Again, for complete details, make sure to read my full Sayulita restaurant report. 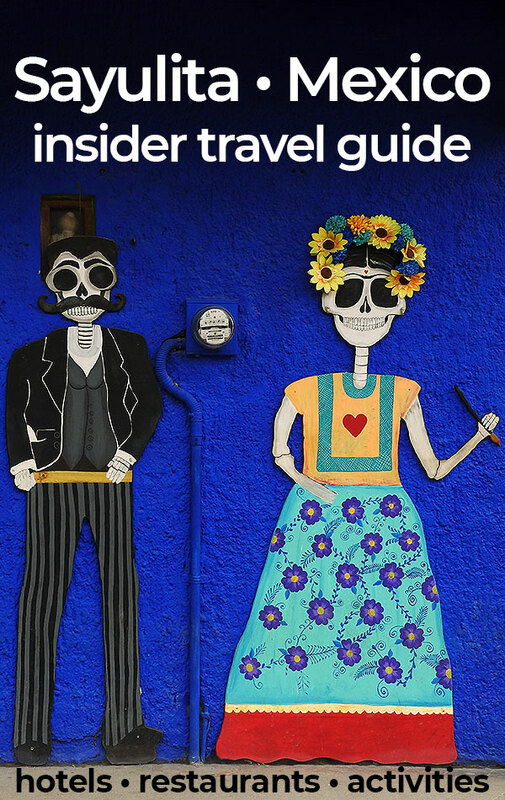 It covers everything you need to know about eating out in Sayulita, and covers many more restaurants. 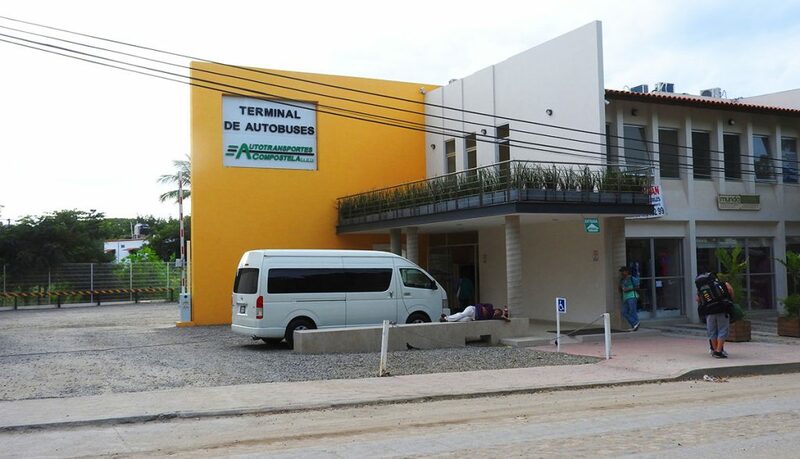 Sayulita’s bus station is on the main road into town and is an easy walk into the city center. Unless your accommodation is uphill, you should be able to walk from the bus station to your accommodation in fifteen minutes or less. On my most recent visit to Sayulita, I flew into the Puerto Vallarta airport and used public transportation to reach Sayulita. The total cost was $42 pesos and the trip time was slightly longer than one hour. In Puerto Vallarta, the buses reliably begin their route at the bus stop across the street from the airport. Exit the airport, turn left and cross the orange overpass to the opposite side of the highway. 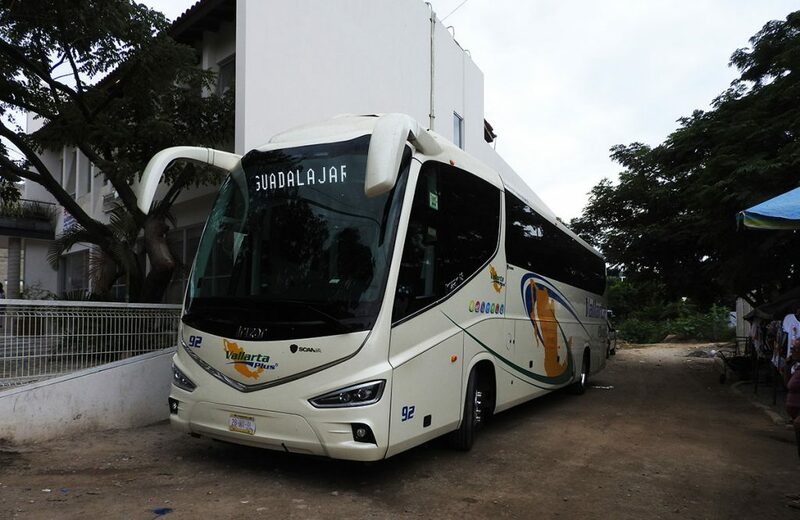 There, wait for a white-and-green Compostela bus with Sayulita written on its front window. There isn’t a designated luggage area, but drivers are used to travelers dragging suitcases and backpacks on board. A faster, more comfortable method of transportation between Puerto Vallarta and Sayulita is to use a private taxi or Uber. Uber rates are typically under $500 pesos, while taxis charge about $60 USD. The Vallarta Plus bus line operates daily bus service between Guadalajara (north and south bus stations) and Sayulita. The trip departs in the morning and takes about four hours. On the return trip, there are usually two afternoon departures to choose from. At publication time, tickets cost about $575 pesos. Buses from San Pancho to Sayulita depart from the side of the highway at the Avenida Tercer Mundo turn-off. There is one hourly bus from the turn-off all the way into Sayulita’s main bus station – ask the driver if the bus goes to “Sayulita centro”. The cost of this official bus is about $40 pesos. Otherwise, if you flag down a random bus passing by, they are likely to only charge $10 pesos, but they will drop you off at the edge of the highway in Sayulita. From here, it’s a further two-kilometer walk into the town center. Sayulita’s banking situation is definitely a sticking point for me. As far as I can tell, there are no national banks with branches in Sayulita. Instead, the town is full of private ATMs that charge truly exorbitant fees to withdraw Mexican pesos or US dollars. One ATM tried to charge me more than $8 USD to make a simple withdrawal, and others charged up to 10% of your total withdrawal as a transaction fee! There’s not really a workaround (other than going to Bucerias and using an ATM there), so bring lots of cash and prepare to be ripped off at the ATM. Note that during busy holiday season, many ATMs run out of cash. Don’t get down to Wallet Zero before you withdraw extra cash. Unfortunately, I had to visit the doctor in Sayulita after getting knocked around underwater during my scuba diving excursion and discovering a piece of sea urchin spine embedded under my skin. 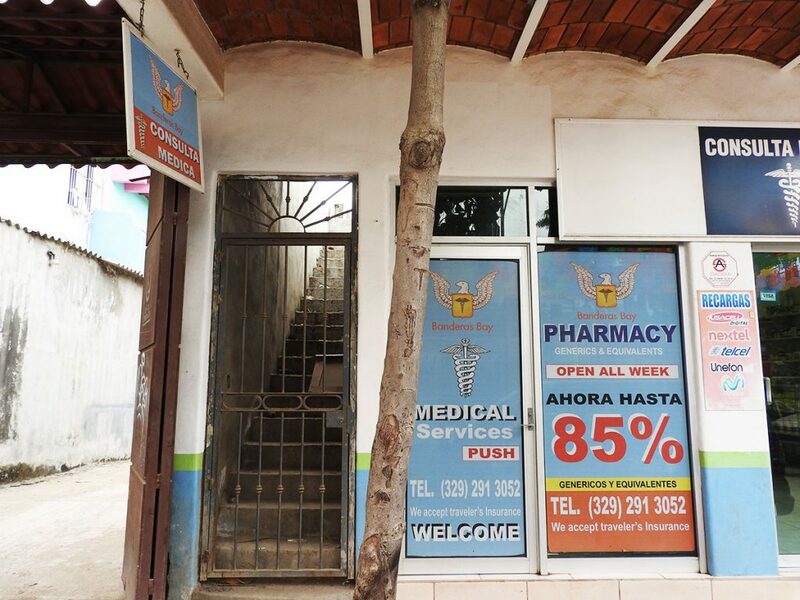 There is not a real hospital in Sayulita, but does have a number of medical clinics that can provide some urgent care services and consultations. I visited the Banderas Bay Medical Center on Avenida del Palmar (shown above). I don’t believe the clinic is staffed all the time, but the pharmacist in the adjacent building called the doctor for me, and he arrived within ten minutes for the affordable consultation. In case of a serious medical emergency, I recommend taking a taxi to one of the QMC Hospitals in Bucerias or Puerto Vallarta. If you are unable to take a taxi, ask a local to phone the hospital’s ambulance service. Keep in mind that Mexican hospitals may ask foreigners for payment before they begin treatment, so it’s essential that you bring a credit card (even if you have travel insurance). Personally, as a “fearless female” traveler, I have a somewhat laissez-faire attitude towards safety. My approach is to consistently take commonsense safety precautions, but not worry about what might go wrong. Overall, Sayulita is a very safe travel destination, but there are some simple things that you can do to make for a safer stay in Sayulita. The biggest risk of travel to Sayulita is probably food poisoning and other stomach bugs. Most people I spoke with, myself included, experienced some kind of stomach discomfort during their stay in Sayulita. Unfortunately, stomach problems are common enough that internet forums feature lengthy discussions of this “Sayulita Sickness”. Personally, during my most recent ten-day stay, I experienced twenty-four hours of mild stomach discomfort and fatigue, which is a common symptom of mild food poisoning. To reduce your risk of food poisoning while traveling you should always wash your hands before eating, drink purified (or otherwise potable) water and stick to busy restaurants or restaurants where you can see the kitchen is clean. The Government of Canada has more information about food safety abroad. I wouldn’t necessarily pack stomach medicine for my trip to Sayulita, as these types of products are very inexpensive in Mexican pharmacies. The second potential risk in Sayulita is petty theft. Although violent crime is exceptionally rare in Sayulita, there are occasional crimes of opportunity. For example, as I was sitting down for dinner at a restaurant in the town center, I heard a commotion at a nearby table. A girl sitting at a street-side table had hung her purse over her chair while she ate, and when it came time to pay she realized that her purse had been stolen. Keep your valuables close at hand at all times! On the same note, there have been reports of break-ins at some vacation rentals, and the common thread is often that a window or patio door was left unlocked and/or open while the residents were at the beach or out for dinner. Lock up your property completely when you’re not at home. Sayulita has grown a lot over the past ten years, and what it may have lost in village charm it gained in town comforts, including fantastic new hotels, almost countless new restaurants with high-quality food, and improved tourist infrastructure. 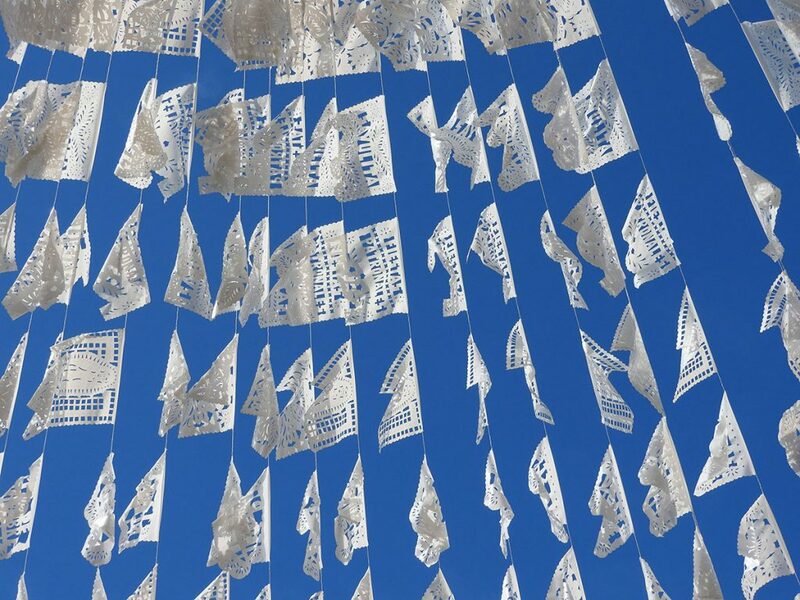 These have rightfully earned Sayulita its designation as a Pueblo Magico. Today, Sayulita has good options for all types of travelers, whether you’re a family looking to build sand castles with your children or a solo surfer looking for a safe and reliable surf break. I can highly recommend a visit to Sayulita, and like always, I’m happy to answer your questions in the comments!